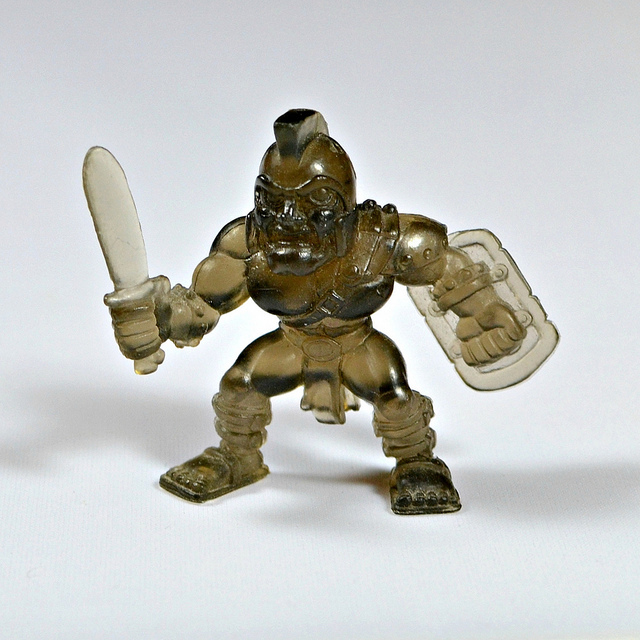 What: I don't know much about Fistful of Power and don't recall ever seeing them in the stores (though I wasn't collecting much at the time they were released), but I found out through MinfiguresXD's entry that the line was produced by Australian toy company Moose and involved a gameplay element. 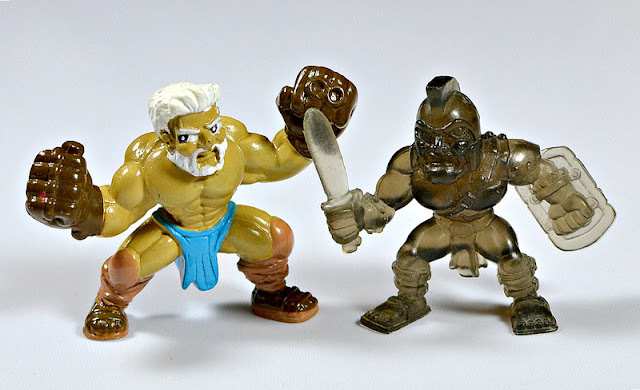 The figures pictured above are the only two I have, and it looks like their names are Gregor (translucent guy) and Tremmor (Zeus-like guy). From what else I have found online, there were some pretty cool-looking characters in this series.